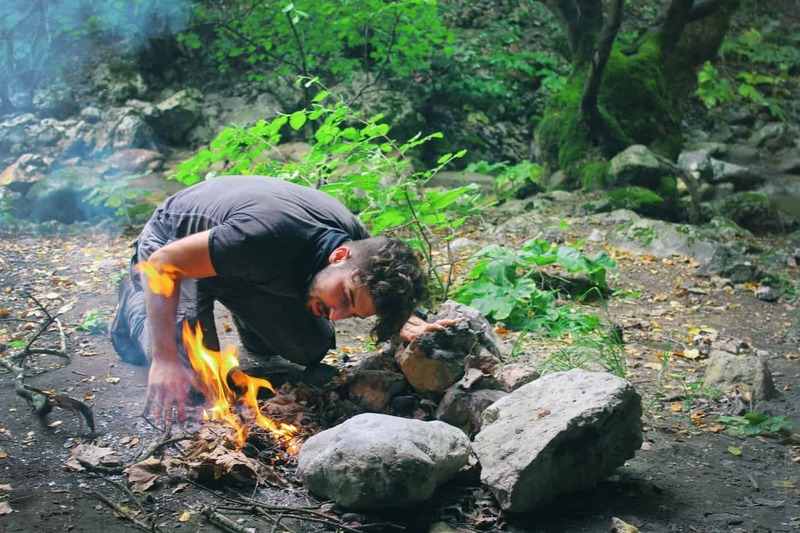 » Arcteryx Fission SV Jacket Review [In 2019]: Almost Perfect? 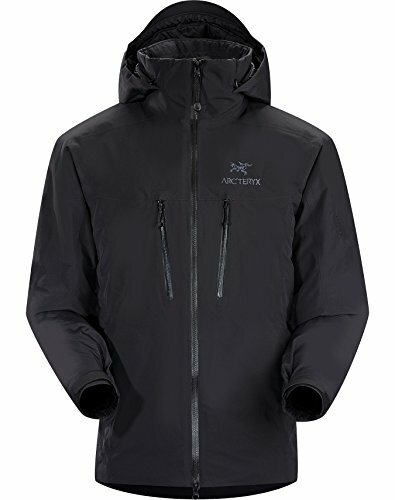 Arcteryx Fission SV Jacket Review [In 2019]: Almost Perfect? Arc’teryx is a Canadian brand created in 1989 with the goal of designing innovative apparel and gear for different weather conditions. Unlike other outdoor gear brands that focus on the average consumer, Arc’teryx is a bit higher end so it is more suited to serious enthusiasts and athletes. One of their most impressive jackets is the breathable the Fission SV. There aren’t many jackets out there that can keep you as warm, dry and protected from winds, while still looking great, like it. If you’ve been struggling to find a winter jacket to keep you warm that can stand alone against harsh weather conditions like strong rain, you may want to try this one out. Final Take – Is the Fission SV Worth the Price? Weighs about 2 lbs. 1 oz. This jacket is considered an expedition warm jacket and for good reason. Essentially it can take on whatever you can throw at it in terms of weather: rain, cold, wind… The name itself explains this: Fission is for “insulated, windproof and waterproof outer layers” and SV is Arc’teryx’s label for severe weather clothing with the best warmth. Let’s take a look at some of the major selling points and benefits for the Fission SV. 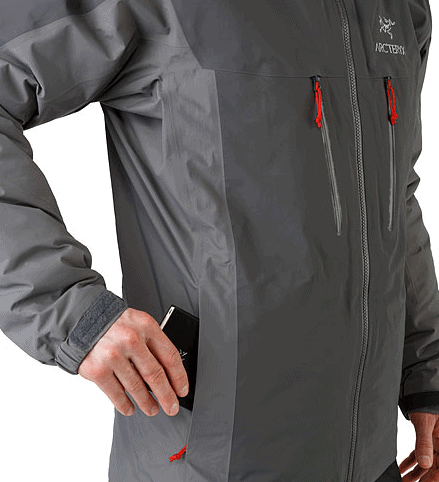 This breathable and durable jacket is just downright impressive. Not only is it extremely warm, but it also is a waterproof jacket and windproof for extra weather protection. Despite being such a serious rain jacket with amazing warmth, it feels soft to the touch and doesn’t feel stiff on the body. Also, if you’re one of those that find the scratchy friction sound of thicker expedition-style jacket to be annoying, you’ll love how quiet this great jacket is. The fit of this jacket is Arc’teryx’s Expedition fit. The Expedition fit is made specifically for weather protection against winter and other extreme cold conditions. It has a larger cut than normal so you can easily layer under it without restricting your movement. By layers, they really mean layers so you will be warmer than ever. This is their widest cut and you can easily wear a base layer and multiple midlayers under this jacket. Also, the Expedition cut is longer than normal with a drop back hem for seat coverage. The Fission SV has e3D patterning, short for Ergonomic 3-Dimensional patterning. This design brings a whole new level of articulation for the wearer. It is specially designed for winter sports and other activities that require unencumbered movement. Arc’teryx also made this water resistant jacket with an extremely small seam allowance to further reduce bulk and increased wearer movement. All drawcords on the jacket are one-hand adjustable and won’t loosen up as you move around. These drawcords are located on the hood, the waist, and them. The cuffs on this durable jacket with hoody have Velcro adjustments that will stand up to repeated wear and won’t catch on the environment or other gear. The hood and chin guard are comfortably and soft. Although it isn’t the most important thing, the Fission SV looks great. Having 3 color options is a nice touch and the Gore-Tex material gives it a very smooth look. The Arc’teryx logo is on the chest in a gray color that isn’t overly distracting. Arc’teryx used their Coreloft synthetic insulation for this jacket. Coreloft is a 100% polyester fiber-based insulation that is composed of various different crimped yarn fiber used in this rain jacket. It is a lightweight insulation but extremely thermally efficient so you will be warmer than with any other coat. Its compressibility is very impressive and you’ll find that this jacket is going to stay warm even when you’re in very wet, damp and otherwise humid conditions. Naturally, the brand used thicker insulation on the body of the jacket to keep up the wearer’s core temperature but they went thinner on the arms. Thinner insulation on the arms of this waterproof jacket and underarm guesset reduce bulk which allows the wearer to move more freely. This is a really important feature for expedition or sportswear. Finally, the Coreloft insulation is safe for most washing machines and is very durable. It is a tough synthetic insulation fabric and isn’t going to degrade or ball up from washing or rain. The insulation is actually stitched in place to prevent this issue. Arc’teryx doesn’t specify what temperature range this jacket can take on (it really depends on the person) but it is in the SV or severe weather line. You can expect this jacket to keep you warm on its own in average winter conditions and water resistant features. You may need a layer under it in extremely frigid temperatures. Aside from cold temperatures and rain, the Fission SV is also designed to take on high winds and wet weather. The Gore-Tex pro body is going to block wind while the Coreloft prevents any chill from reaching you, while still keeping waterproof breathable quality. The laminated chin guard and fitted collar keep the bottom of your face protected from wind as well. The hood itself is insulated and compatible with a helmet, but the drawcord on it can be cinched down to fit your head alone. 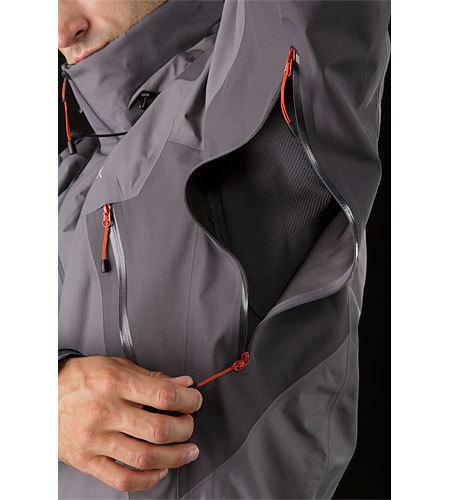 This is another way to block wind from your neck and face with this great jacket. In terms of water-resistance, Arc’teryx does say that the Fission SV great jacket is totally waterproof and durable, and majority of tests support this. The body, arms and hoody fabric will keep you dry from heavy downpours and wet snow. The external zippers are WaterTight which is a water-resistant laminated design. Keep in mind that these are water-resistant / water repellent, not waterproof. Even though chances are slim water will get into the pockets with this waterproof jacket, it’s still best to not keep delicate electronics or anything else that could be damaged by water in them. Finally, all seams have 13mm GORE tape over them. While this jacket has a lot going for it, there is one major downside- the price. Being a high-end brand, Arc’teryx doesn’t exactly sell budget-friendly apparel, and this great jacket is not the exception. The Fission SV waterproof jacket is over $550 from most retailers and while that isn’t exorbitantly high for comparable jackets from other luxury brands, it is more than most people would like to pay. Side note: (For the latest prices and discounts, check here). Others find that they are a bit disappointed that for the price this jacket doesn’t come with snow cuffs or a powder skirt (also known as “snow skirt”). Even with the disadvantages or minor flaws in design, the Arc’teryx SV jacket is a skillfully designed outstanding piece weather resistant apparel. If you have the money to invest in this model and know you will get a lot of use out of it, you won’t be disappointed. 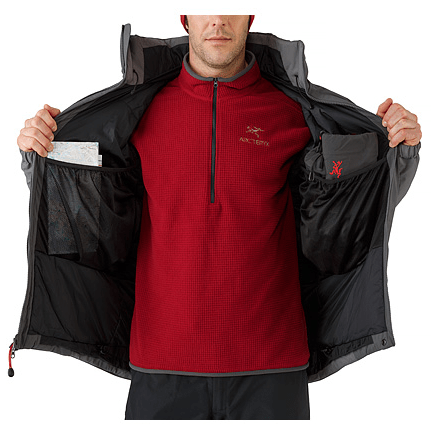 If you like this jacket but feel like you may not get your money’s worth because you just don’t get out in the elements all that often, another Arc’teryx jacket may be more appropriate.